So we’ve taken care of the bug problem in our gardens, but what about weeds? They can be just as much of a terror as the little creepy crawlies. No matter if you have a full blown garden or just a patch of grass-weeds can creep in and mess it all up. Here are some tried and true at-home remedies for homemade weed killer that can help battle these green monsters. 2. Salt. Placing salt at the base of the plant will cause it to die. Now, this won’t work if you’re in rainy season. 3. Corn Meal. This is an option if you are not wanting ANYTHING to grow in a particular area. Spreading this around will cause any seeds in that area to cease to grow. 4. Burn Them. Running a slight flame (you can actually purchase a weed scorcher) over the weed will cause it to shrivel up and die. This is a pretty serious one! 5. Baking Soda. The added sodium in baking soda will help to kill weeds around your home. Like corn meal, it will kill all of the things around it so make sure that you only get it on the weeds! This is particularly a good method for weeds growing in cracks in sidewalks or driveways. 6. Pull them up. Well, I know this is a “duh” moment, but there’s nothing cheaper than just getting your hands dirty and pulling up the weeds yourself. Some say this is therapeutic- I can’t say I agree! 7. Place down newspaper. This is another method we love. 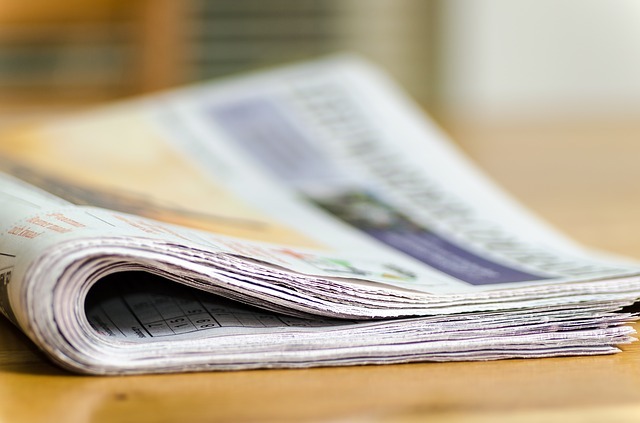 Before planting flowers, we always place a layer of newspaper down in order to keep weeds at bay. This works incredibly well. You do have to replace it after about a year, but that’s okay with us! 8. Rubbing Alcohol. Spraying this on a weed will cause the very life of it to evaporate. Another extremely cheap option. 9. Boiling water. This will kill pretty much anything. Great for larger areas (like driveways) where you want everything to evacuate quickly! 10. Eat them up. I love this idea. Many common weeds can be eaten in a fresh salad like dandelion. Talk about using your resources to your advantage! 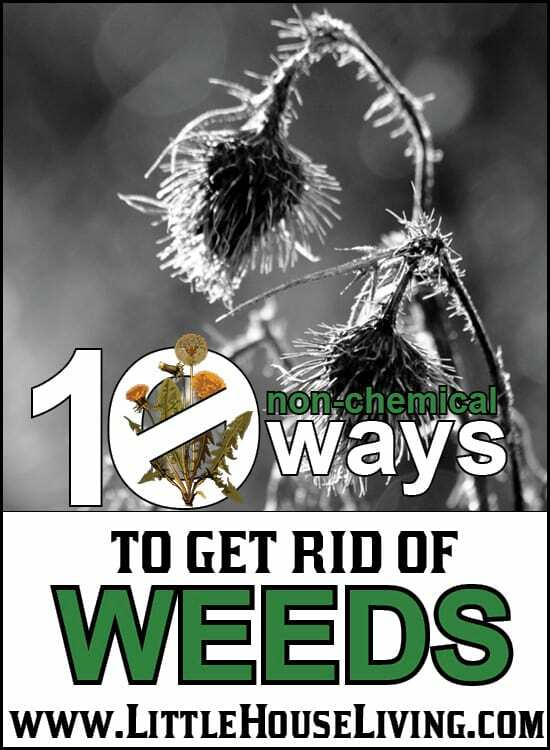 Getting rid of weeds doesn’t mean running to the store and purchasing a bunch of chemicals to spray in your yard. As you can see, many items can be found right in your cupboards! Gardening? 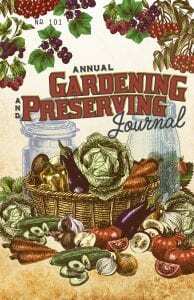 You need to check out all of the articles we have on the Gardening 101 page! 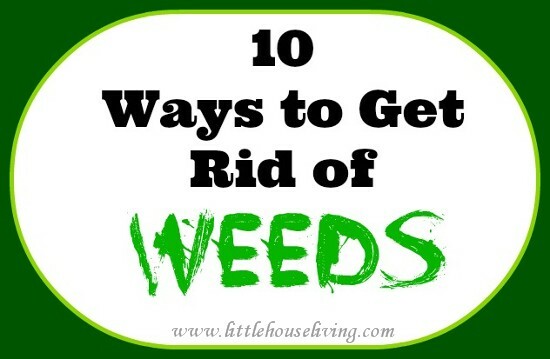 Do you have any other ways you’ve learned to get rid of weeds? Have you ever made your own homemade weed killer? 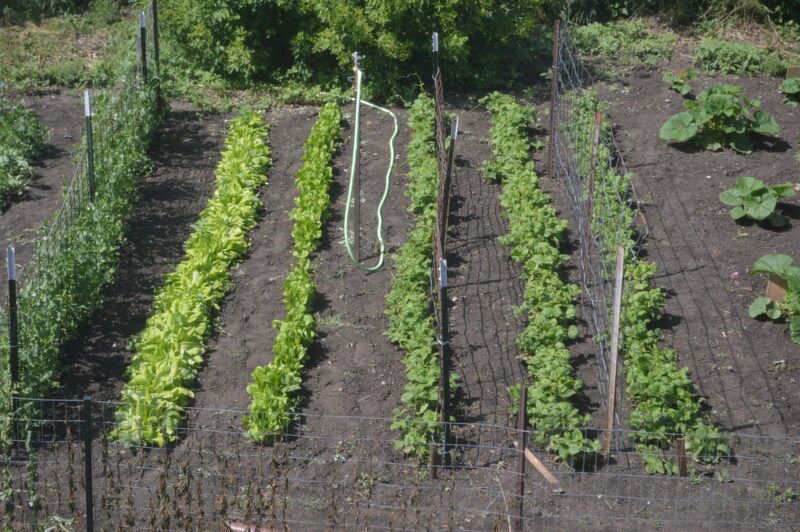 I use newspaper as a weed barrier in my vegetable gardens, then place straw on top of that. Works great! You will get a weed here or there, but nothing like what you will get if you do not put it down. Great list! I recently found our about vinegar and it works like a charm. Never knew about corn meal. Will keep this in mind! Mix thoroughly until the salt dissolves, pour into a hand-held spray bottle and spray the solution directly on the target weeds. For weeds growing out of cracks in driveways and sidewalks, some people pour salt directly on the weeds. Other people pour straight vinegar directly on weeds. Still others add a few drops of liquid dish soap to the recipe to help the solution stick to the weeds. The important thing to know about this homemade recipe is that is non-selective. 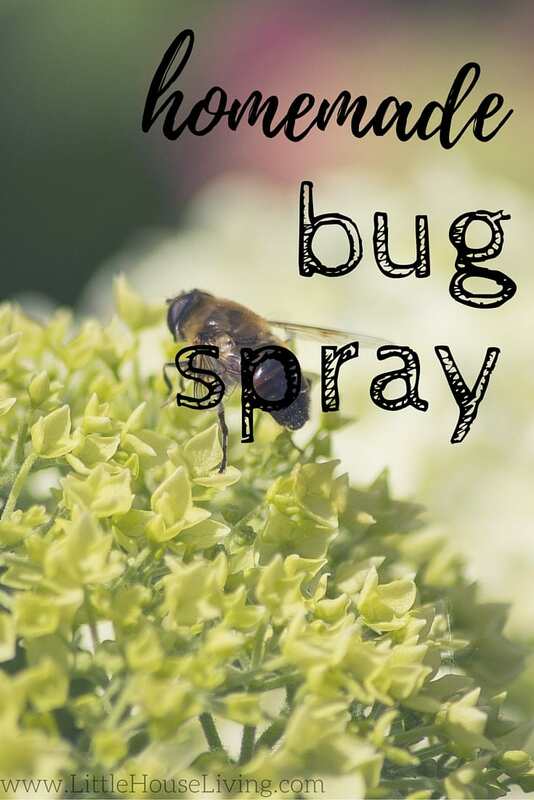 Just like any weed killer, use it sparingly and with caution. Non-selective means it will kill or damage any plants or grass that come into contact with it. Also, try to avoid spraying it directly on the soil. Vinegar breaks down the soil structure and kills beneficial microorganisms. In areas where this is applied, the vinegar can render the soil sterile for several years. 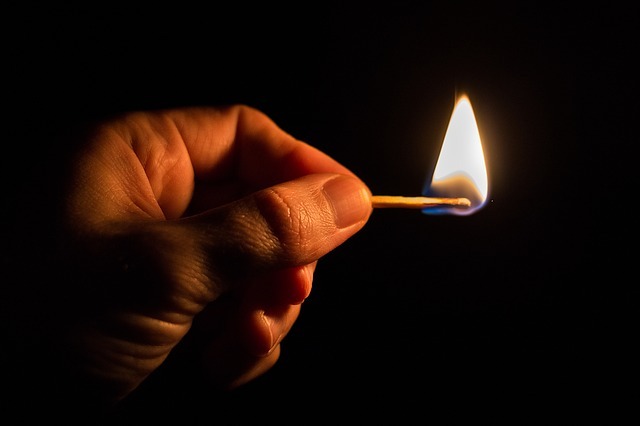 Other organic methods of weed control include hand-pulling, boiling water or torching. Visiting from Works For Me Wednesday! I use the vinegar method frequently, but just as a note it doesn’t work on big weeds. I’m talking the ones you’ve ignored for 3 months, and are 3 feet high 🙂 Probably another “duh” moment, but they are thorny and I don’t want to touch them. Other than those monsters… vinegar works well. I’ll have to try the cornmeal method around our mulched swing set. Visiting from Thrift Home party. Weeds are the only green things in my yard. Why do I want to get rid of them? A gallon of white vinegar(you can get organic), 2 cups of salt, a tablespoon of dish liquid. Works great in our yard. My daughter uses flattened cardboard boxes in her raised vegetable beds, and rarely sees any weeds at all. How long will the cornmeal keep seed from germinating and can i plant area later. Corn Gluten Meal is the correct product. You spread it in the spring before weeds emerge. It prevents the seeds from germinating. Available at feed stores and natural garden centers. It is a preventer rather than a killer. Great post, newspaper is so much better than commercial weed barriers. I am going to try the vinegar solution. I was wondering about corn meal attracting ants, we tend to have such a problem with them. I would cation anyone using bleach to not use it in an area frequented by the family pets. You never know what they will sniff/lick. No worries about corn meal attracting ants. one of my most successful endeavors keeping the ant population down while I was on extended vacation. Someone told me to spread corn meal around because ants eat it and cannot digest it and it kills them. I had great success with that. I would like to suggest this be used around outside air conditioning units. I had two service calls on mine. The second time, i told the repairman it was the same symptoms as before. (He charge me $150.00). Second time, he said “I bet those ants got in there and built a nest again.” I watched this time while he took a hair dryer and blew the ants out of a small black box inside the unit. ($100.00 this time) I am 79 and that is the last time I paid for that. A screw driver and a hair dryer fixed that! Merissa, I just love Little House Living. Your ideas are so down to earth and helpful! Regarding vinegar: most stores sell a 5% acidity formula. HEB, for example, sells a 9% acidity formula. Nurseries & garden centers often carry 20%. The higher the acid the better job at killing weeds. The 20% is usually cost prohibitive so the 9-10% solution is generally your best buy. I tried the boiling water method this spring for a small 5’x6’bed to try to get rid of the grass that was coming up. I filled two very large pots that I brought to a boil, and over the course of 3 hrs., I had poured boiling water over the entire area several times to thoroughly saturate the area. The next several days showed wonderfully green grass with many lively earth worms–in other words, this method did not work on my grass which was not very thick to begin with. I ended up spending hours hand-pulling it all so I could plant veggies there. I have also tried the vinegar and salt method in the past for some weeds that grow up between the sidewalk and porch. Unfortunately, that did not work for me either. Maybe we just have tougher grass and weeds in Texas? Any more ideas? My back can’t take much more! These are really interesting tips for weed removal, thanks. Do you have any idea if any of those methods can get rid of bracken/ferns (except for the torching one – I’m aware that makes bracken growth even worse)? Well, I know pulling them works but, realistically, I’m unable to do that because there are *so many*! I’ve tried using store-bought weed killer in the past, but that was ineffective because it only killed the visible, top part of each fern and had no impact on the underlying root system. Come to think of it, the weed killer probably disrupted the PH balance of the soil even more as well, further creating an ideal environment for these ferns to fester in! Part of me wonders if I could try planting something there to help enrich the soil (which is probably overly acidic, due to the ferns) AND help deter the growth of the ferns. These things are insidious, in that they kill/suffocate almost all other plant life in their midst (including grass!). Even more worryingly, these ferns are known to have carcinogenic properties and have been linked to mouth and stomach cancers in humans who live within close proximity to them. Suffice to say I want them GONE! I use old roofing shingles to prevent weeds in flower beds. Lasts much longer than newspaper or cardboard. I have tried the boiling water method, and it works. After I’m finished canning, I take the boiling water from the canner and pour it on weeds in the driveway. In fact, anytime I have boiling water left over I take it outside and pour it on the weeds. We are trying the burn method this year . Yes, my hubby bought the weed scorcher! We will see how it works! Great post! I spent much of the afternoon weeding my patio pavers by hand. Perhaps I will follow up with some baking soda to prevent any from coming back. Pinning to reference in the future for sure! I have used the vinegar with detergent and salt and it works great….in the sun. Would love to find a natural weed killer that would work better in my shady backyard. After soaking my feet in Epsom salts, I take the water out and dump it where I don’t want things growing like my driveway. What about for Poison Ivy? Any homemade remedies for killing this stuff? I have used vinegar and it didn’t touch it…it was the 5% kind. Haven’t tried the salt method on it. Might do that since we don’t have much rain in the forecast.